Self-Care Tip #177 – Discover your connections to others. Be a friend to yourself. Please help it bless all the little girls and boys all over the world to learn of your great Love. Watch the kids. Don’t let them out of your sight! Anyone could grab them! He had just read Middlesex and felt the threat of child abduction crawling up his skin. When he gave me these warnings, I heard the words of my son’s teacher again. There is so much yuck, and the yuck is so loud and awful that seeing the help around might be missed. We are distracted by suffering. We are distracted for good, bad or somewhere in-between. Today, Darcy Delaproser introduced me to a couple people she’s advocating for, as seen on YouTube. Watching these videos, I prayed, “Help.” I met Darcy, aka @PrincessDelap on @Twitter and am drawn to her tenacity and beliefs. 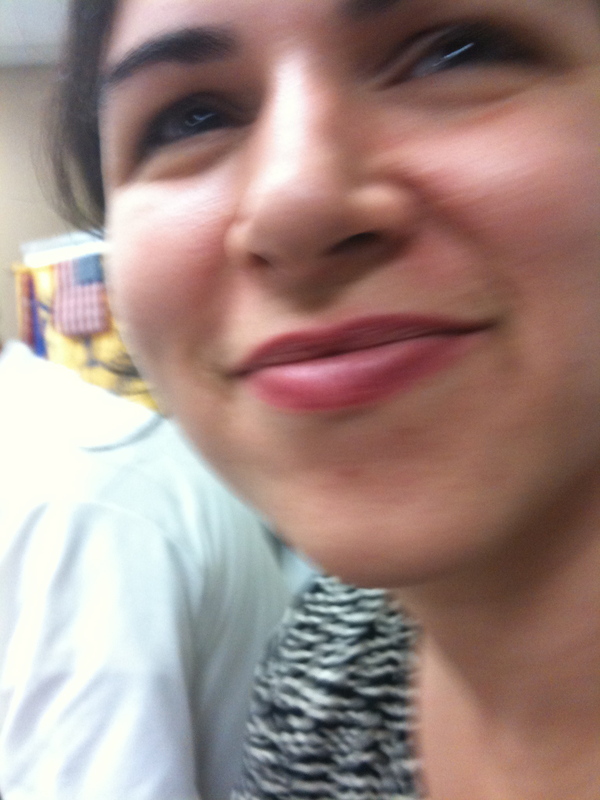 She is a human and civil rights advocate. The other day I met Cindy Chaisson, from Custom Canine, who volunteers her time and expertise to train service dogs and use them to find abducted children through the Amber Alert program. Tonight, I was supposed to get to bed early, but I got swept up in all the research on this topic. There is too much to lay out and more than I read about in the last couple hours. There is help. The connect self-care has with all of this is where we turn our posture to. Where do we place these victims, their past, their future and the perpetrators? Our self-care includes contemplating what our connection is to them. For some of us, obviously, the connection is immediate. 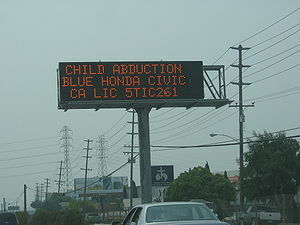 For others, the connection is more distant, in the shape of theory or information: data on the Amber Alert screen. Freedom to do self-care includes this: Choosing who we will call our own. Choosing whom we will spend emotional energy on. Time. We are free to connect or disconnect. In those ties or un-ties, we find the climate of our own self-care. Questions: How are your connections a form of your self-care? How do you see connections being a part of self-care? Please tell me your story. This entry was posted in self care and tagged Amber Alert, Child abduction, Facebook, Middlesex, National Center for Missing & Exploited Children, powell street, Psychology, San Francisco, self care, Self-Help, Twitter, YouTube. Bookmark the permalink. Talk about an emotional roller coaster. I have barely recovered form the trauma of having popcorn ejected through my nose upon viewing last night’s post and am now faced a post on a subject that causes an entirely different emotion. I am a firm believer, based on my own experiences in life, that pain and hardship are touchstones to growth. People need to learn how to pick themselves up on there own (not literally… sometimes, picking yourself up could mean asking for help and accepting it) and carry on. However, I do not think that applies to children. In my opinion, kids have one job…. being a kid. Every time I hear of someone doing something to take away a child’s happiness, it invokes anger in me, like nothing else can. My son is six now and an incredible boy. Now and when he was younger, I have always been concerned with all the dangers the world held. At the same time, I disliked the idea of being overprotective in that I feel learning comes as much from skinned knees as it does from books. To me, worrying is something I do when I can not take action or when I think that I have taken the wrong action. Hence… I came up with a couple of ideas that I used and still use with my son. Take them for what they are worth but… they made me worry less. The first… I taught him the traditional “stranger danger” bit but expanded on it after doing a little bit of research. My thought with the “never talk to strangers” bit was…. Who the heck are you supposed to talk to if you are a kid that is lost or in a bad situation? Since he was able to walk and talk, we have made a game out of spotting police men and firemen. When he did see them, I taught him to run up to them and “give them five”. He loved the game, the interaction, and had absolutely no fear of talking to them after the first few times. We also talked about what do if you didn’t see a police man or fireman. I am a huge fan of the logic of children frequently being the best and our discussion verified this. Joseph, my son, came up with two great ideas that he liked and I did too. The first, people with dogs because bad people usually don’t like dogs (I did a bunch of research and discovered that of all the articles involving child abduction by strangers… none mention strangers with dogs). The second idea he came up with… old ladies because they are almost always nice. (Not a guarantee… but if you have to go to someone….). dear rick, i like the way u took us through the specifics of helping kids learn about safety. There is help in knowledge. Teaching and proactive moves are also a way of connecting and engaging. keep talking mr. c.
I may be missing the point on this one, but here is the way I feel about it. The thought of a child being abused sickens my heart. The very thought is bad for my health. A prayer such as the one of a teacher prayed for the children, if one believes that God answers prayers, is healing not only for the children but for the one that prays. The thought of God helping these children heals my heart as well. Thank u Carol for your comment. Healing in the process of engaging, including through prayer is a great point. keep on! Mr Walsh has been instrumental in establishing national agencies for this. It was here in Miami that little Adam Walsh was taken. It was so heart wrenching. His father rose to the occasion and leads the protection crusade. Perhaps it gives Adam’s death some meaning, But meaning does not fill the emptiness that pain leaves unfulfillable. the protection crusade – an awesome concept. i luv the way it sounds. This is an important topic because self-care is extremely essential to victims of any abuse, perhaps especially child abuse. Or, can you imagine, too, being the parent of a child who has been kidnapped and harmed and even killed? There would be no end to my sadness…or, I hate to say it, to the murderous rage I know I would feel. The problem is, I personally believe we are all connected to one another…even to the most horrible psychopaths among us. I am not sure if this is just my belief, or objectively true, but you are right when you say we have to confront the yuck. wonderful comment sarah. thank u much. thank u kevin. u do help many when connected. keep on.